Nowadays, we are witnessing the emergence of new social and personal services that will be based on massive amounts of data, e.g., intelligent transportation, personalized medicine, smart electricity grid. These services have the potential to greatly improve many aspects of our lives if this flood of real-world data from the Internet and sensor networks can be thoughtfully and thoroughly analyzed. We see this processing, filtering, and distribution of useful information as analogous to the generation and distribution of energy e.g., electricity. Just like energy, information needs to be collected and concentrated to be useful and move the economy. 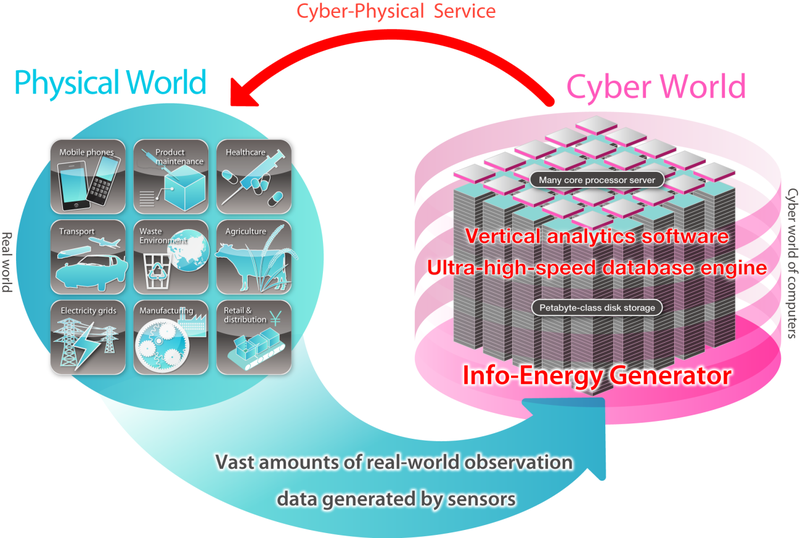 In this project, we are building a new Info-Energy Generator to process sensor and other massive data at a much faster rate than conventional software and databases. database engineering, parallel computer architecture, parallel database processing/data mining, storage system architecture, digital earth, speculative transaction processing, etc.